With an increase in population and congestion, more people are switching to bicycles as their main mode of transporation and Traffic Services wants to ensure they stay safe on city streets. 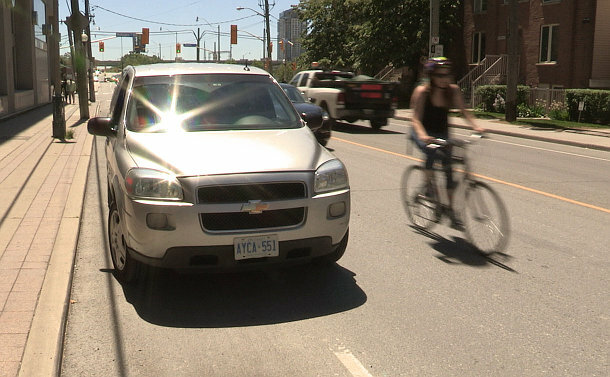 Toronto Police’s latest traffic campaign, SPACE (Safety, Prevention, Awareness, Courtesy, Education) to Cycle, is geared towards cyclists and motorists with the ultimate goal of keeping all road users safe. 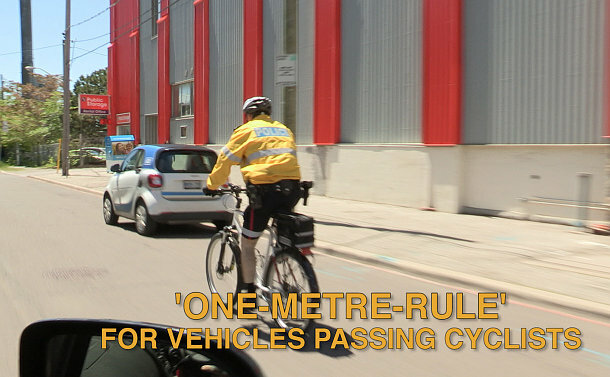 The one week campaign, which runs from June 12 to 18, will see frontline officers pay extra attention to both drivers and cyclists who are compromising safety on the roads. Parking Enforcement Officers will also be concentrating on parking offences that compromise bicycle safety, such as blocking bike lanes. “Cyclists face many dangers, some of which is from drivers who disobey the rules and put cyclists at risk,” said Constable Clint Stibbe of Traffic Services. Dooring, drivers that are parking in cycle and bike lanes and drivers that are failing to obey the one-metre rule around cyclists have been identified as some of the major causes of collisions. There have been 58 dooring incidents so far this year. He also urged cyclists approaching vehicle that stops in a cycle or bike lane to ensure that they signal their movement so that they don’t put themselves at risk, and wear a helmet. Stibbe also reminded drivers they have a responsibility to give cyclists at least one metre around their bikes when they pass them.